Love is Everywhere is growing each day and what a beautiful feeling that is. I'm excited to share with everyone my new photo shop at Love is Photography! 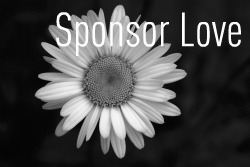 I welcome anyone to be a sponsor! If you have a shop or blog you'd like to advertise feel free to contact me.